Poll: Do you have a Microwave in the camper? Discussion in 'I Smell Something Cooking!' started by BikeNFish, Feb 8, 2019. Do you have a Microwave in the camper? No - NEVER! Real campers don't use a microwave! No - But I am thinking about it. Yes - It's built in and I do use it. Yes - I bring one with me and use it. The other day I wrote a post (HERE) about my opinion on using microwave ovens while camping. That thread got me wondering about how many campers do have a microwave in their camper. Here is your chance to chime in on the subject. Do you have a microwave in your camper? Gee, we don't even have power in our campers. LED battery lights are the exception. Are we living the simple life? Now it is the microwave to be judged on. I don't think that anyone who is sleeping in any kind of camper should be telling people what real camping is. I used to carry a small one and sit on a table under the canopy of the PUP, also coffee maker sit there as I enjoy my coffee early and when it is quiet. I have one but only take it with me on a case by case basis. I did use it on my X-Country trip but the main reason was to save time in the morning. Looking back, I don't think I used it at all last year. I'm trying to become a better cook. But I still rely on the smoke detector as a timer. Toedtoes, DJS12354, kcsa75 and 1 other person like this. The only differences between the popup I got and the more popular Niagara of that vintage stem from the fact that the Niagara has a microwave built in. I was happy to find one without the microwave because we don't camp with hookups so we would only use it for storing stuff like bread or toiletries. If we camped with power, we would enjoy having a microwave. If I wanted to rough it, I wouldn't be in an oversized popup! We have a built-in microwave in the TT. If we would have bought a new TT, we probably wouldn't have added a microwave. But since it's there it gets used from time to time to warm things up etc. But mostly DW uses it as extra storage. Counter space is a premium so she'll store things like fruits and vegetables that don't need to be refrigerated in the microwave. Ours is built in but we don't use it for anything except storage. Same with the built in oven. It is great bread storage! We also don't use the indoor stove. We do all cooking outside just because that is what we prefer. We purchased a small microwave that resides in the camper. Great to have handy for warming things up and for veggie cooking. 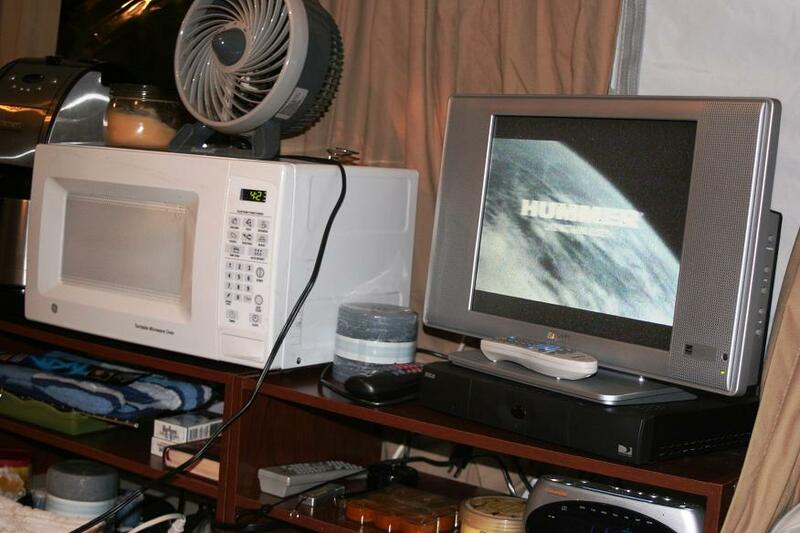 No microwave, at home i use it for popcorn only. In the camper i have a popcorn thing that goes over the fire pit. Works really well and the kid likes it. 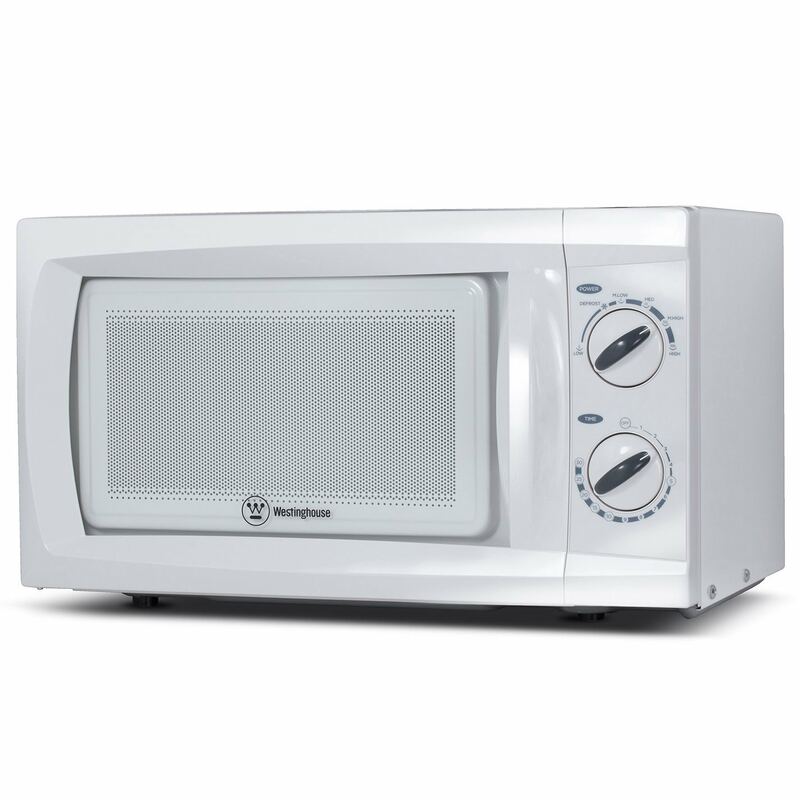 We use the microwave frequently for cooking frozen vegetables and reheating left-overs. We’re in state parks most of the time. Usually, but not always, with power. We just returned from a 3+week, 3300 mile trip to FL and we ate out far less than we did on our previous FL trips simply because my wife likes to cook and she can cook in the TT easier than she could the last few years. I avoid the ‘that’s not real camping’ debates. We have ‘camped’ all over the country in popups, A-frames, tents, hybrids, and travel trailers, with many years of backpacking and wilderness canoe camping in the early years. Call it camping, glamping, or whatever the heck you want. We still enjoy exploring this awesome country of ours (and Canada) and right now a TT works best for us. I don't have a microwave in either the clipper or the FnR. I know many folks who added one to their clippers, but I never saw the reason. My camping is dry camping - no hookups 92% of the time. I prefer heating water for my hot cocoa on the stovetop because I always put the cocoa in the mug first and then add hot water. Using a microwave, I would have to add the cocoa after and then it doesn't mix as well. For other heating, the stove top works fine. I am considering a toaster oven for the FnR when I start traveling versus camping. It doesn't have an oven and I would like to be able to cook small pizzas, cookies, rolls, etc., while on the road. When I bought the FnR, the PO gave me a small microwave with it. As soon as I got it home, I took the microwave out. Haven't ever considered putting it back in. I think for me, the microwave makes sense at home because I am in a rush, etc. But when I'm camping, my meals are part of my relaxation time, so I am happy to stand at the stove heating my soup for 10 minutes rather than nuke it for 2 minutes. With traveling, I will still make my meals part of my down time, so I don't need the microwave. If I'm in a hurry in the morning, I can stop and get something or skip it and wait for lunch. Mine is built in to the tt. I turned it on when I bought it to make sure it works but haven't used it (nor do I really plan to). I would prefer another cupboard there actually, but I guess I have a microwave if ever needed... I am usually dry camping and prefer my traditional camp cooking methods - It's a big part of what I love about camping. My Aliner came with one and we took it out because we often camp with no utilities, rarely used it and welcomed the extra storage place. Seems like I can do most things with the built in stove, or the Coleman stove (major use) or the pie irons. neighbormike, Arlyn Aronson and Toedtoes like this. Our TT arrived with a microwave, as part of the standard options package the dealer ordered. We thought we'd never use it, since so much of our camping is without power. We were surprised to find how much we use it, when we do have power. Since the freezer works very well, we take a lot more meals we've frozen at home, so can just zap those on nights when we have hookups. Very handy for overnight stops, and nice for some of my solo trips, when I have power. When it's not being used, it is a handy place to store some light/bulky items p large paper plates, door curtain, dish drying mats, etc. When I bought mine the PO included a small dorm style microwave. I have kept it in there since I got it. I camp exclusively with electric and water. For me the microwave serves a couple purposes - it sits next to the rear bunk and makes an elevated night stand that is the perfect height for the bunk. We use it to reheat leftovers mostly, but some meals call for it to help out - heating tortillas when I make fajitas or breakfast tacos, refried beans, nachos, etc. I'll admit there are trips where it doesn't get used at all, but it is handy to have more often than not for my style of camping. I voted "other," because none of the "no" choices were suitable. I don't begrudge people their conveniences. I've never thought about it in my pup, but I can see where it might be handy. To me, a toaster is more important. All of the current methods of toasting aren't satisfactory to me — in a pup. I have a four slice in the kitchen that only works on one side, so it's going into the camper this spring (I've ordered a replacement for the kitchen already). I figure, I have the pup so I can have some convenience. I save roughing it for bicycle camping and canoe camping, where I need relatively light loads (especially on the bicycle, unless it's a supported tour).